While some games get patched so extensively after launch that they essentially turn into a new product (*cough* Team Fortress 2 *cough*), other games never even get their first patch. 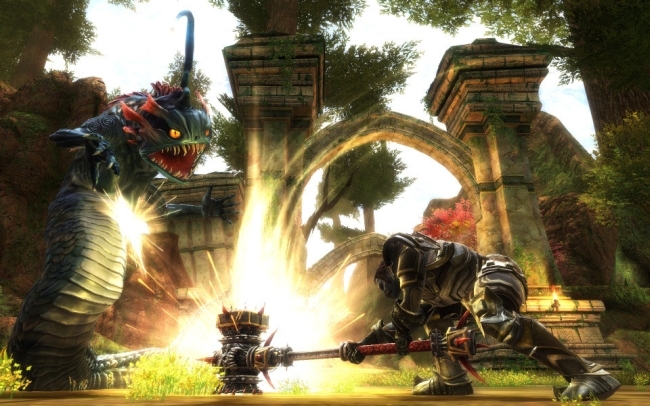 Following the collapse of 38 Studios, the studio’s first and only game, Kingdoms of Amalur, would seem to be left in the latter category. “Now, barring some sort of miracle, it is highly unlikely that any patch for Reckoning will ever see the light of day,” Lead designer Ian S. Frazier said on the Amalur forums.